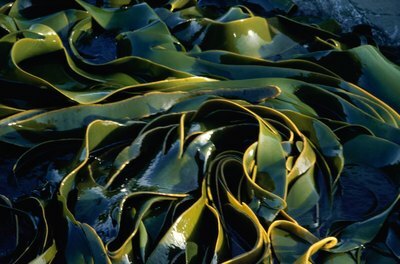 Kelp is an excellent non-goitrogenic food because it's so rich in iodine. A goiter is a swollen thyroid, the gland in the front of your neck that influences body temperature, metabolic rate, energy levels and even mood via the production and release of hormones such as thyroxine. Goitrogens are compounds in food that compromise thyroid function and promote the formation of goiters. In contrast, non-goitrogenic foods contain nutrients that promote healthy thyroid gland function. Iodine is essential for thyroid gland function because it’s the main element in thyroid hormones. Iodine deficiency is the most common cause of goiter, which is why the mineral has been added to common table salt for many decades in the United States and various other countries. As such, foods rich in iodine are not only non-goitrogenic, but they can also often completely resolve goiters. 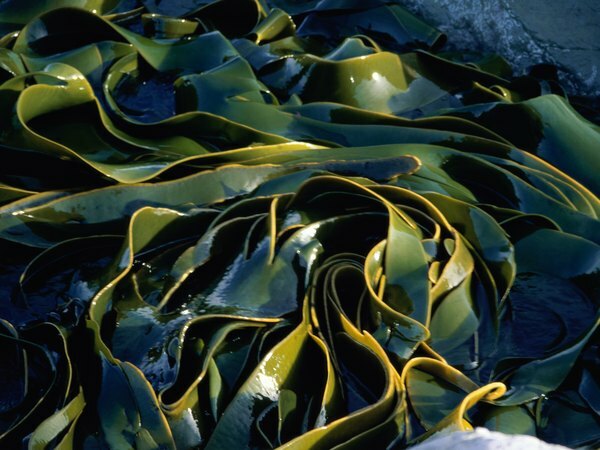 Iodine-rich foods include kelp, other edible seaweeds, Jerusalem artichokes, fennel, raisins, cow’s milk and eggs. Tyrosine is an amino acid important for thyroid function, because hormones such as thyroxine and triiodothyronine are partially derived from it. All high-protein foods contain lots of tyrosine, but some of these also contain goitrogens. For example, soybeans, peanuts and gluten-containing grains such as wheat are great sources of tyrosine, but they can inhibit and inflame the thyroid glands of some sensitive people, so they are best avoided if thyroid dysfunction is a concern. Excellent non-goitrogenic tyrosine sources include fish, beef, poultry, dairy products, eggs, avocados, bananas, almonds and pumpkin seeds. Cold-water fish such as salmon are also rich in omega-3 fatty acids, which are anti-inflammatory and can be helpful in shrinking goiters. Furthermore, most protein-rich foods are also good sources of selenium and vitamin B12, which are nutrients that are important for thyroid function. Cruciferous vegetables such as broccoli and cauliflower are goitrogenic and best avoided if your thyroid is inflamed or dysfunctional, but many other veggies are beneficial. In general, vegetables contain a variety of antioxidants, which protect all tissues from free radical damage, and are sources of numerous vitamins and minerals including iodine. Bell peppers, squash, eggplant, tomato, zucchini, peas, green beans, carrots, asparagus, celery and cucumber are all excellent non-goitrogenic veggies. Many veggies are also good sources of electrolytes such as sodium and potassium, which help control the flow and accumulation of fluid in tissues. Most fruits are non-goitrogeneic and many can help protect or heal the thyroid gland because they are rich in vitamin C and other antioxidants. 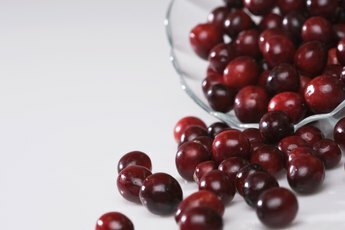 Blueberries, cherries, dark-skinned grapes, citrus fruits, apricots, guavas, kiwis, mangoes, apples, pineapples and pomegranates are all excellent choices that are healthy for your thyroid gland. Some slightly goitrogenic fruits to be somewhat cautious of include strawberries, pears and peaches. Encyclopedia of Human Nutrition; Benjamin Caballero et al. 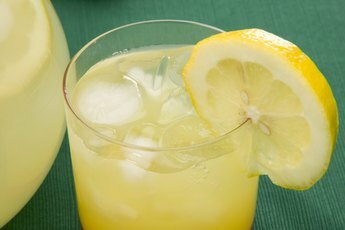 Can Another Healthy Juice Replace Orange Juice? What Are the Benefits of Natural Sea Salt? What Tea Is Good for the Bladder & Kidneys? 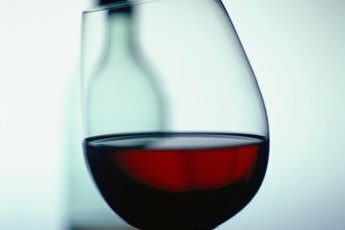 Does Red Wine Do Anything Bad?